There are not many hotels that guests are willing to pay upwards of $2500-per night and travel via non-jet connection to a barren desert landscape where locals talk of transcendental light therapy and a cocktail all but requires a prescription to get. 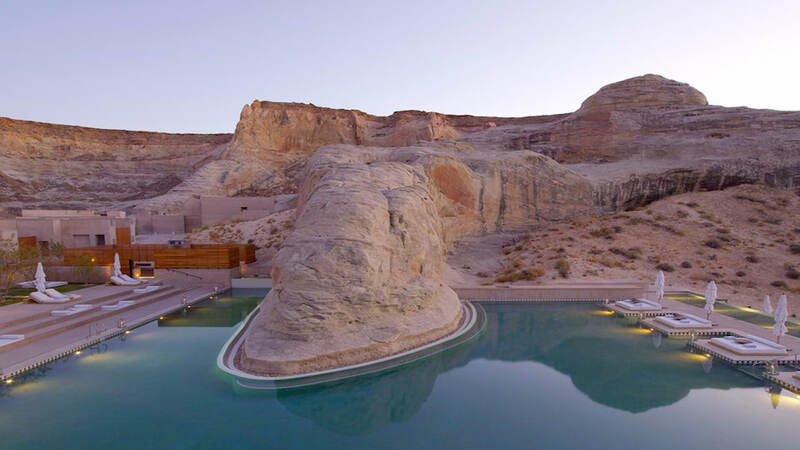 But then again, Amangiri is one of only two US-located Aman resorts to date with an unparalleled architectural pedigree and hush-hush guest list from Beyonce and Gwenyth Paltrow to Angelina Jolie. Flying private into Page, Arizona lessens the stress of flying Great Lakes Aviation and its fleet of small turbo-prop planes that are as punctual as a burgeoning Hollywood starlet. From Page, it's a zippy drive through small town America, past Lake Powell and into a barren desert landscape of jetting rock formations with unpronounceable names and horizons that make even non-believers ponder the divine. The single most architectural resort in North America, Amangiri is composed of a series of linear, concrete buildings with central pavilion wrapped in glass and swimming pool built around a sculptural outcropping hand-selected by Aman co-founder Adrian Zecha. Common areas bow to desert panoramas almost religiously with low-flung furniture and concrete fireplaces, but in their own spare, omnipotent way are just as majestic. Guests cluster in no more than groups of two or four, whispering as pan-flute music gives way to more modern acoustic tunes by night. Since opening, Amangiri has ditched its planned residential component for now and has opted to go all-inclusive meaning that room prices include dining whilst at the property. But with just one restaurant, we’d have preferred a rotating menu that changes a bit from day to day, or at least from lunch to dinner, especially for guests on longer stays. We were most impressed with the Aman Spa during our stay, a glamorous 25,000-sqaure foot campus of meditation rooms, steam rooms with saunas and plunge pools wrapped around an outdoor pavilion where the mountains are never out of view. In between spa treatments, adventure activities vary between a leisurely horseback ride with Fritz the freethinking horse to a sensational rock climb with aerial walkway that challenges even those without a fear of heights. On our trip we had the pleasure of being with a larger, rather festive group. 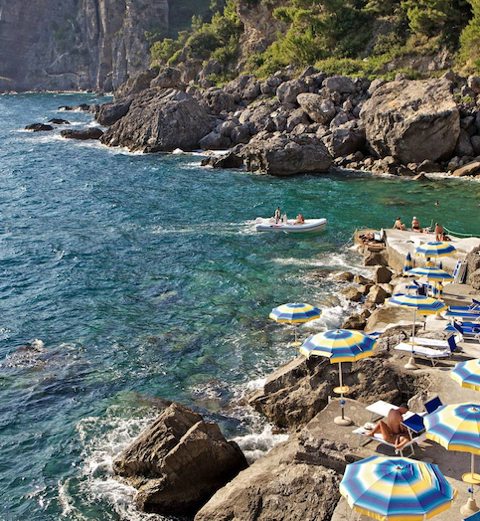 But plan accordingly, as loved-up couples and tight-knit families leave little guest interaction. Fortunately, almost all guest rooms open to perfection with 1,000 square-foot spaces with picturesque bathtub and king-size sleeping quarters overlooking one of the most beautiful landscapes in America. Amangiri solidifies itself as a must-experience destination of its own.